Underground command center for monitoring the skies and space for hostile incoming weapons. 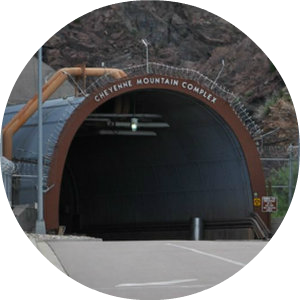 Cheyenne Mountain was built with the knowledge that it would be a primary target for a nuclear attack, and it is perhaps the most fortified large underground installation in the world. 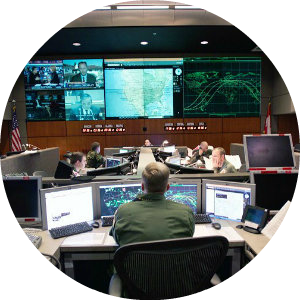 Even so, the military acknowledges that it could not withstand a direct hit from one of its own nuclear missiles. The installation consists of 15 steel buildings, laid out in a 4.5 acre grid inside the mountain, and accessed through a tunnel and 30-ton blast doors. The buildings are suspended on 1,300 47″ steel springs to absorb the shock of a nuclear detonation. 30 days of supplies and six million gallons of water are stored inside the installation, which underwent a major $1.7 billion renovation, following its 30th birthday in 1995. 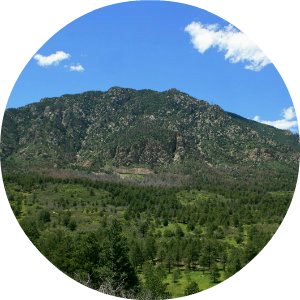 About 1,500 people work inside the mountain. 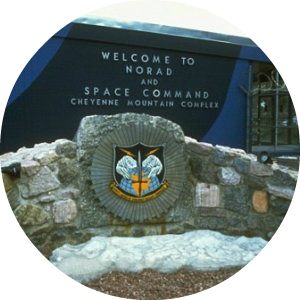 It is operated by the USA/Canadian North American Aerospace Defense Command (NORAD), and the US Space Command, which is headquartered in nearby Peterson Air Force Base. 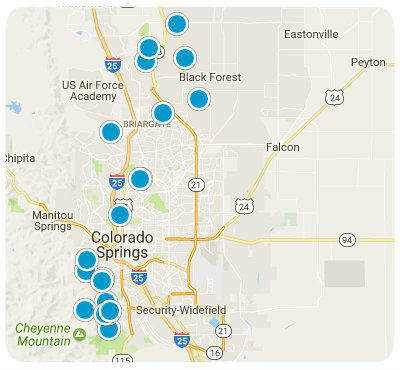 There is a similar facility at Offutt Air Force Base in Nebraska that can be used in case of a mission failure at Cheyenne Mountain.